Categories: Chocolate, Clusters, Chocolate with Nuts. 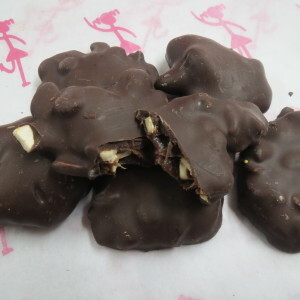 Tags: almond clusters, dark chocolate, pardas. 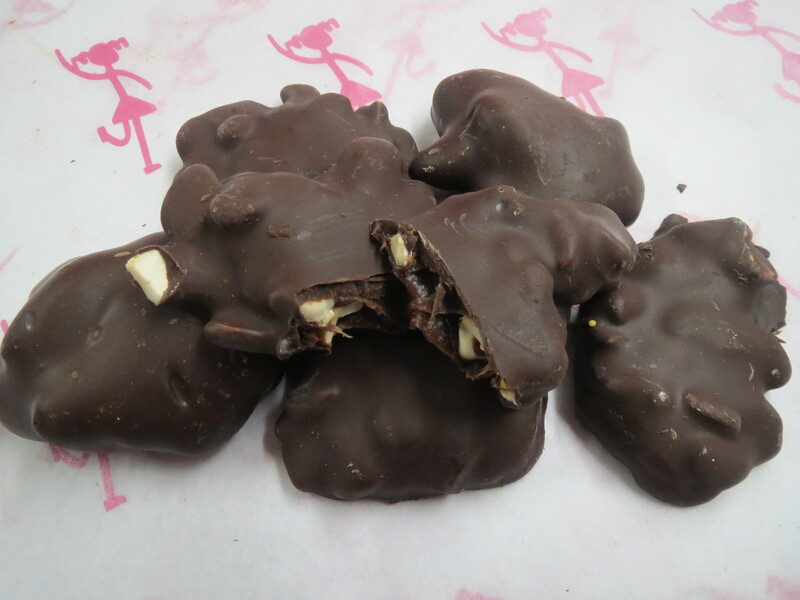 Freshly roasted unsalted almonds clustered with dark chocolate and chewy caramel.